What if your scheduling data originates from somewhere other than an easily accessible database? An API that accesses a legacy system or an email based system are two examples that might fit this description. RadScheduler allows binding to objects of any arbitrary structure. Binding to objects follows the same basic pattern as binding to database tables. You must assign a collection of objects to an instance of SchedulerBindingDataSource. 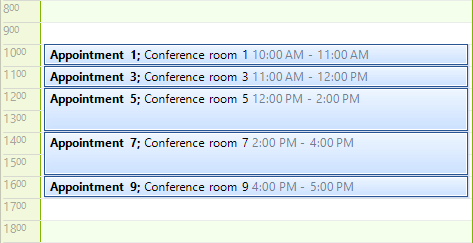 You also need to define mappings so that the appointment data expected in the scheduler (Start, End, Subject, etc.) is satisfied by specific properties in the bound objects. The code below is an example appointment. Keep in mind that the particular construction of the CustomAppointment class and the names of its properties are arbitrary. The mappings will decide where properties are used. Notice that the object implements the INotifyPropertyChanged interface. 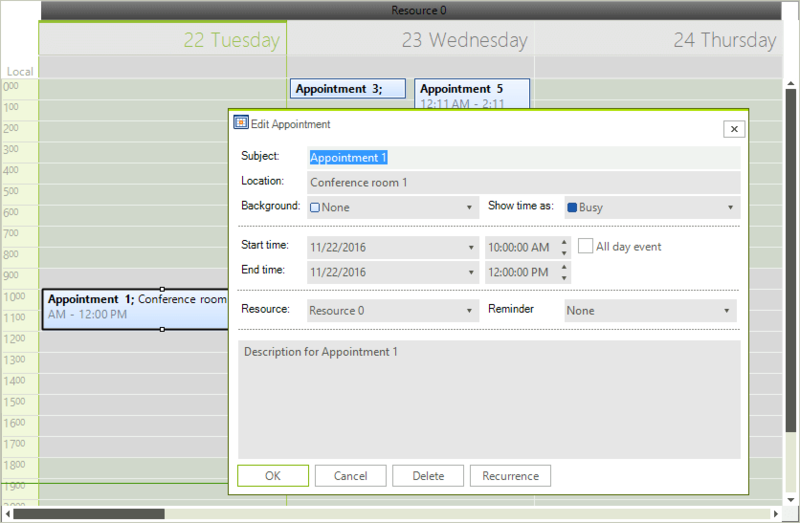 Without this interface implementation the populated appointment object data will not show up in the scheduler. To use your custom object, create CustomAppointment instances and place them in a generic list before mapping and binding to the SchedulerBindingDataSource component. 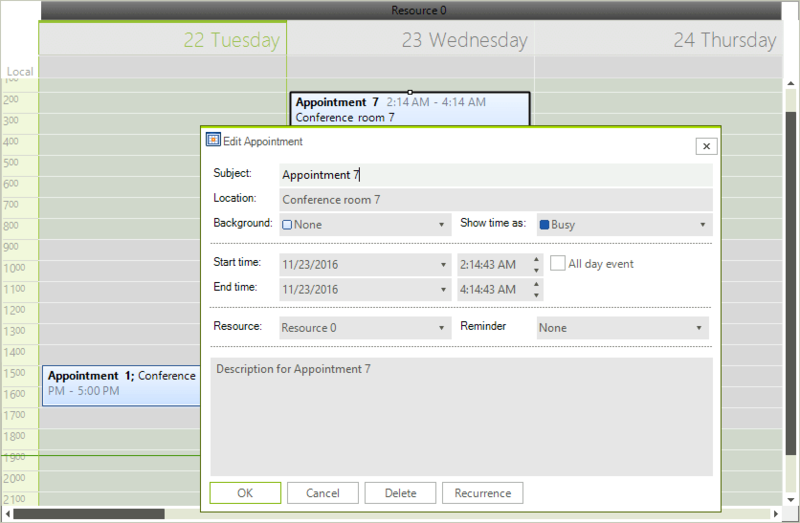 When you run the application, a series of CustomAppointment objects will show up in the scheduler. Next we need to create the relation between appointments and resources. We can create either one-to-many relation or many-to-many relation. The following two sections cover each of these scenarios.